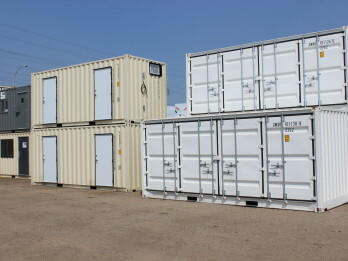 We specialize in the rental, modification, sale and transportation of as new and used shipping containers. With 30 years of experience serving the greater Edmonton, Calgary, and Vancouver, our worldwide network of contacts enables us to provide our customers with a world class selection of ISO containers for virtually any industry and move it to where it is needed quickly and efficiently. We supply as new and used portable storage solutions for short or long-term rental. We can offer any size and style container to fit your needs. Additionally, we can make custom modifications to any shipping container: from simple doors to complete customization. We have a variety of sizes of durable, economical, and easily moved offices, tool cribs, hoardings & dangerous goods storage containers. No matter your location, no matter your need, and no matter your vision, we have your solution. We offer transportation and drayage of loaded or empty containers to your business. We can also assist in residential container moves for local relocations, getting your storage container where it needs to be, on time, every time. 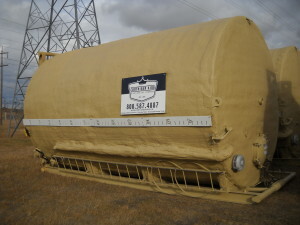 We can provide durable bulk liquid storage tanks for nearly any of your organizations liquid storage needs. Our 400 barrel upright tanks are available for sale or lease and have permanently attached skids for easy relocation and upright applications.